More than just the Georgetown men’s basketball team and their competitors were seen in center court recently! 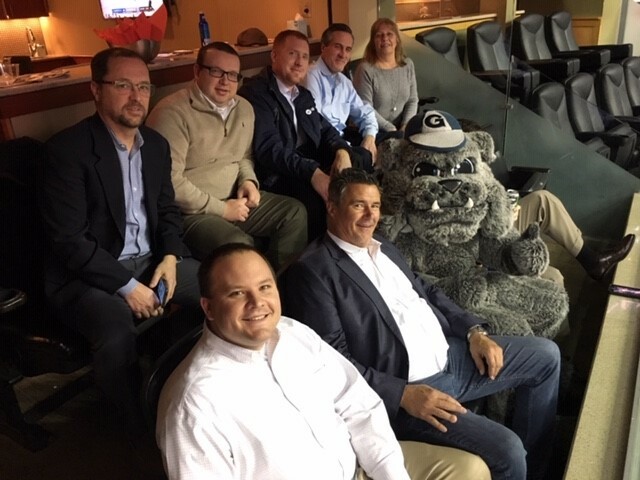 The Hilldrup team from our DC, Maryland and Virginia (DMV) area branches were all recently invited to attend two Georgetown men’s basketball games where together we cheered on the Georgetown Hoyas. All while having fun, we were excited to give back to a few lucky winners during both games as well. 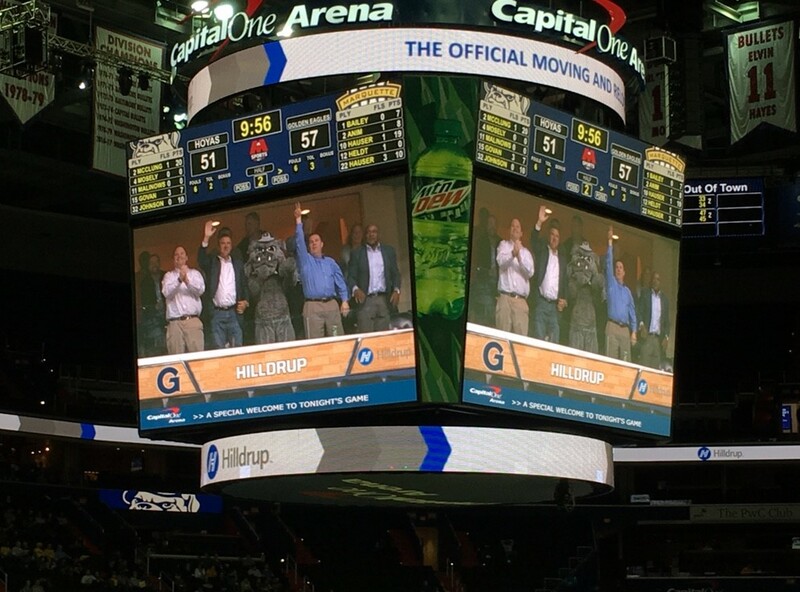 The Hilldrup “Move Up” challenge gave attendees an opportunity to win a seat upgrade courtesy of Hilldrup. Congratulations to our winners who received lower level seats for a better view of the action; we hope you enjoyed the game! Thank you to everyone across our DMV locations for coming out to support the game and our sponsorship with Georgetown athletics. 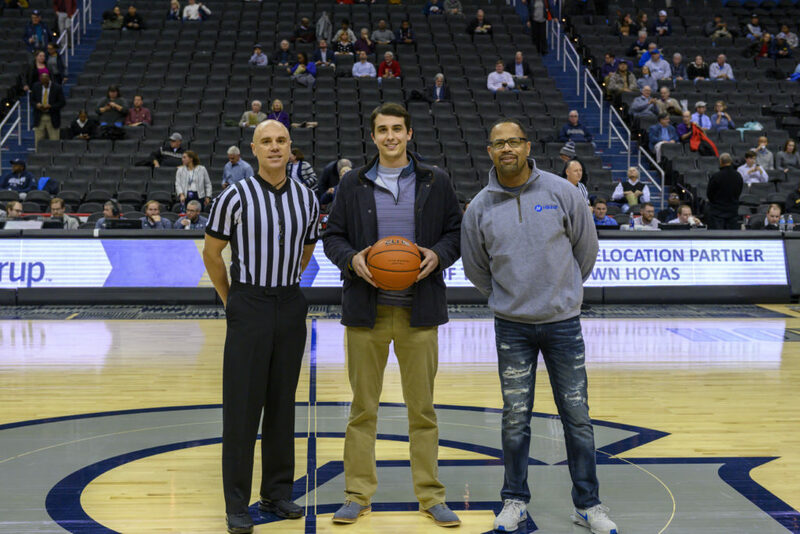 Special thanks to Georgetown University for hosting us and allowing us to be a proud partner – go Hoyas! See any familiar faces? The Hilldrup team had an exciting feature during the game – we couldn’t have been more thrilled! 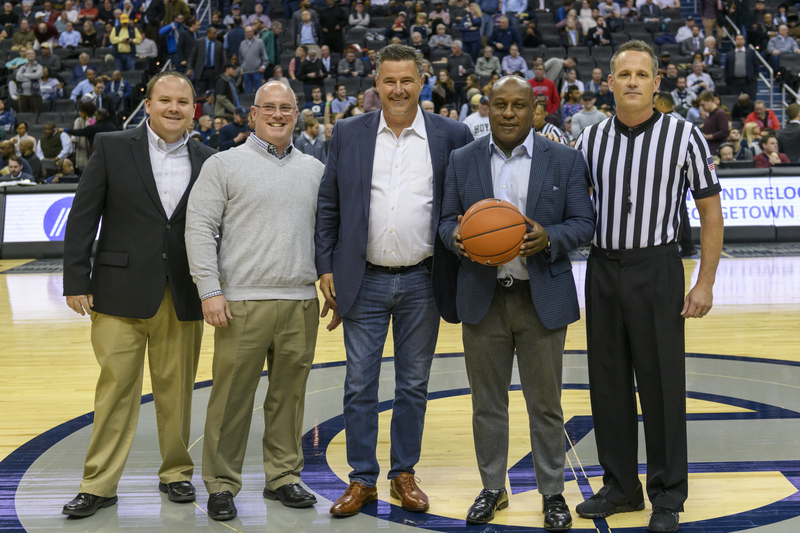 At center court, Charlie McDaniel, Manager, Global Sales and Branch Operations (center) and Remus Boxley, VP of Human Resources (right) presented the game ball to the official prior to the December 18th game. 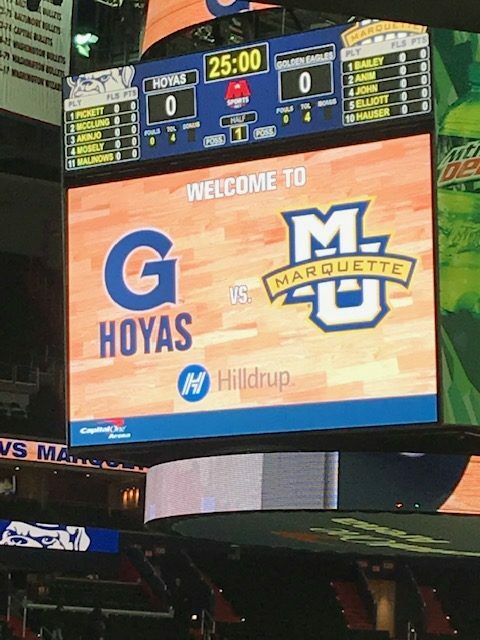 We were proud to be featured both on the main videoboard and via PA readings for the January 15th Georgetown game where the Hoyas went head-to-head with the Marquette Golden Eagles.